JOHN AND CHALRLES WESLEY were two of nineteen children born to Samuel and Susannah Wesley. Samuel pursued the labors of an Anglican clergyman in Epworth, England, while Susannah, ever the model Christian, formed both the spiritual and academic inclinations of her children. Although quite different in temperament, John and Charles pursued similar academic and religious interests. Both entered Christ Church, one of Oxford’s largest colleges; John began in 1720 and Charles in 1726. After receiving his education, John was elected Fellow at Lincoln College, Oxford, and ordained two years later. Charles’s first year at Oxford was uneventful, but by his second year he settled down to a more serious life. He and a number of friends formed a “Holy Club.” They covenanted with each other to live disciplined Christian lives given to serious study of the Bible, prayer, fasting, and charitable works. Charles was the first of the group to be derisively labeled “Methodist” by fellow students, but his title became a badge of honor for these seekers of the Christian way. John Wesley joined the club after an absence from Oxford to help his ailing father in the parish ministry, and he eventually became its leader. The answer to his question came shortly after his return from America. Both he and Charles were influenced by Moravian friends who bore witness to salvation by grace through faith in Christ. Until their conversions the Wesleys had what John described as “a fair summer religion.” They were both ordained. They both preached, taught, wrote, composed hymns, and even gave themselves to missionary work—all to no avail. They had not Christ, or rather, Christ did not have them. They lived by good works, but not by faith. With the established church closed to his ministry, John Wesley took to the fields, preaching to coal miners and commoners. Despite recurring opposition, his itinerant evangelism soon expanded throughout the British Isles. It is estimated that he rode over 250,000 miles on horseback and preached over 40,000 sermons. He also published selections of his sermons and wrote voluminously. His use of lay preachers and small “societies” spread the movement to some 120,000 followers by the time of his death. Yet the conversions and subsequent ministries of John and Charles Wesley were not isolated events whose impact ended with the passing of the eighteenth century. Their lives continue to greatly affect the church. 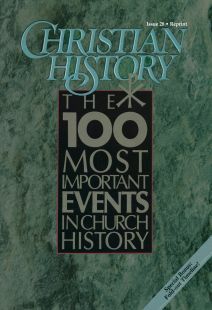 Many Methodist denominations today (worldwide, the Methodist communion numbers some 50 million people) still embrace those notable elements of the Wesleys’ ministry: an emphasis upon preaching; the organization of small groups for prayer and Bible study (the equivalent of the Methodist societies, and an important element of present church-growth strategies); the importance of book and tract distribution; and a concern for the poor, oppressed, and disenfranchised, which to the Wesleys and their followers was the natural expression of the religious life. The theology of John and Charles Wesley also has an ongoing influence outside of strictly Methodist denominations. The Wesleys’ emphasis upon the role of the Holy Spirit in the life of the believer and the church has affected the holiness movement, the Pentecostal movement, and even the recent charismatic movement. An educated clergy and a knowledgeable laity were also concerns of the brothers Wesley, leading to the founding of many Wesleyan colleges and seminaries. The balance between the life of the mind and the life of the spirit is still critical to the Wesleyan tradition, which seeks to preach the gospel to whosoever, convert the sinner, and raise up the saint. Dr. Roger J. Green is professor and chair of biblical and theological studies at Gordon College in Wenham, Massachusetts.